This monthly poetry series begins its sixth year on October 3, 2018 at the historic Sherbino Theater in Ridgway, Colorado. 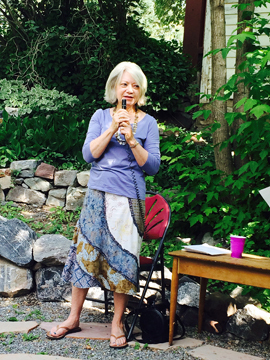 Each first Thursday evening Open Bard features a well-known Colorado poet and offers an open readiing for all. Doors open at 6:30 pm. For more information contact Beth Paulson (bpaulson@ouraynet.com) or Kierstin Bridger (kbbridger@me.com).